Smith signed with Calgary as a free agent in September of 1990. He played in 6 games in his initial season, mainly as a kick returner, with only 5 catches. Smith continued to be used as a kick returner over the next five years, but also saw more and more action as a receiver, cluminating in his last season in 1995 when he had 57 catches for 838 yards. 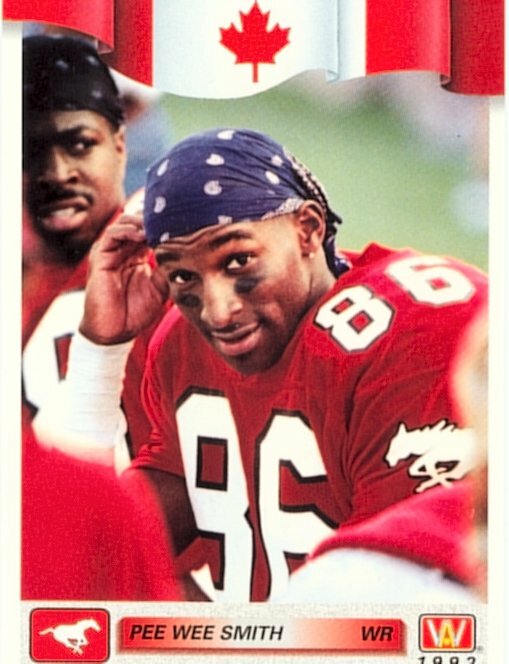 Smith was with Calgary in 1996, but was injured and did not play any games.